Apparently this is episode seven, meaning there’s been six more of these things? Who’d have known? The Star Wars saga is amongst the most beloved, deified and altogether successful film franchise ever. 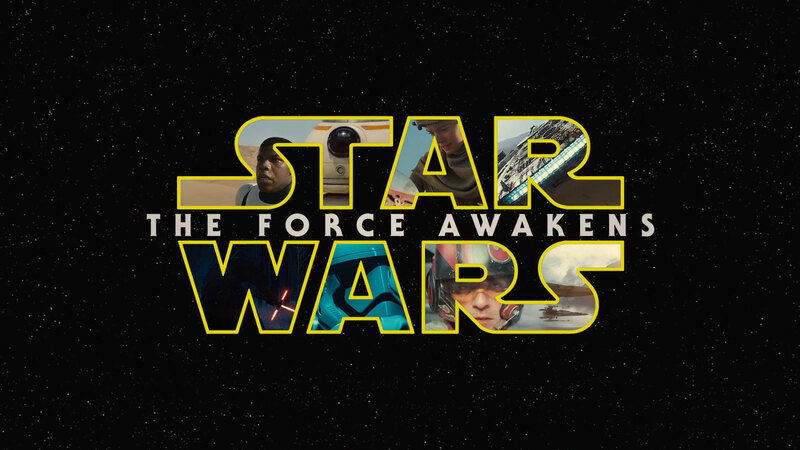 The Force Awakens, in a similar ilk, is probably the most anticipated. A New Hope and The Empire Strikes Back still rank amongst the most enjoyable films ever in my book, ones I can just punch the air and whoop at as our on screen heroes do the same. Return of the Jedi was good, but damaged by Lucas’ money making Ewok scheme. The prequels – well. Star Wars is only Star Wars when we have a focused goal and narrative that the story builds up to, not some dodgy trade union plotline. If I wanted to watch a bunch of bad actors pretending that they know stuff about politics, I’d watch Question Time, because at least it doesn’t reach the levels of boredom that the prequel trilogy did. But you probably want to know what the latest installment by JJ Abrams is like right? Well after a few resounding fist punches, a few wipes of emotional eyes with my sleeves and a night to compose myself to write the review, I can confirm that Abrams has returned Star Wars to its old school best in what is both a beautiful homage and a promising start to the trilogy. What needs to be stressed above anything else that anyone can say is just how magical watching something like this at the cinema is. John Williams’ score overlays an action fuelled space opera that, unlike any other film, you can just lose yourself in for an entire two hours. Usually if you were walking down the street and you saw a group of aliens, you’d be inclined to question what was amiss, but on the big screen, in a bar of hundreds of different alien races, you don’t even bat your eyelids. This is testament to the convincing world that Star Wars has created and Abrams, by returning the saga to the tone of the originals in a ‘movie for the fans’ has continued, with a grade A* in how get things absolutely right. However there are elements that have proved to be polarizing. The Force Awakens borrows heavily from A New Hope in something that resembles a fan service homage rather than a sequel; after criticizing the Good Dinosaur for being derivative it would be hardly be non-hypocritical of me to suggest Awakens is the most original thing out there; the plot is largely the same. For some this suggests tiredness, but for me and I’m sure many other fans, it delivered a nostalgic trip into the past, whilst serving up just enough of the new. And on the subject of the new, all of the new characters work. Boyega as Finn is hilarious, playing off Harrison Ford (who steps back into the role of Han Solo as if he’d never stopped being him) and a brilliant scene with the film’s charming robotic addition BB-8 who, despite being only a marketing device by Disney to sell oranges, is distinctly child-like and human. Oscar Isaac’s Poe Dameron radiates likability, even if he is criminally underused. But it is Daisy Ridley’s Rey that steals the show, not only blowing the Bechdel test out of the water, but also instantly becoming as relatable as Luke Skywalker himself. Adam Driver as Kylo Ren is also a showstopper who, (cue the fan boy hate) immediately edges Vader in terms of intrigue. He is a petulant adolescent, filled with rage and conflict as he stews in the grey side. He is everything Anakin should have been, not some whiny teenager. Of the new players in the First Order Ren promises the most interesting development over the trilogy. His presence on screen drives the story into full throttle. Lucas once hilariously described the prequels as ‘poetry’ because they ‘rhyme’ with the originals. That poetry was obviously a Lucas free verse that only he thought had any rhythm. Abrams tells a story with every shot, whether it’s some brilliant colour symbolism, foreshadowing, or a call back to the other films; Awakens is as good as a cinematic experience gets visually. It even contains a scene that is sure to go down in cinematic history, and perhaps the best of any Star Wars film to date. For every fault it has, Awakens makes up for it in its choice to go back to the tone and pace of the originals. Occasionally ham-fisted dialogue? No time to dwell on it, we’re getting shot at. Plot conveniences? Doesn’t matter, there’s another five things going on at once. Uncomfortable CGI? At least Abrams was merciful with it unlike Lucas’ torturous, animated prequels. The experience is so riveting you just fly past the faults. The Force Awakens may not be the best written and it may not have the strongest story, but it has something that very few other films have; cinematic euphoria. It’s a film that takes you to a galaxy far far away for two hours and makes you never want to leave; not for one second do you believe this stuff doesn’t exist. It doesn’t reach the consistent brilliance of Empire but if this was released instead of A New Hope, the saga would be just as loved. I said earlier Abrams gets an A* for getting it absolutely right, so he can get my first A* ever. Next articleWhat do students want for Christmas?